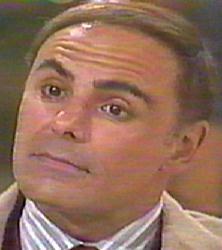 Portrayer: John Saxon, August 30, 1985 - February 26, 1986. Arrival: Came to renew his previous romance with Felicia Gallant. Introduction Scene: In a hotel room, greeting Michaud Christophe, "I'm here." Lovers: Felicia Gallant (1967-1970s). Edward and Felicia met in Paris. Notes: Name may have been spelled Edouard.